Saint Nicholas, known in the United States as Santa Claus, is a symbol of the wonderment, generosity, and goodwill of the Christmas season. The literary selections, articles, and activities in this module explore Saint Nicholas’ roles as a Christian figure and a Christmas gift-bringer, and the values that Saint Nicholas personifies. 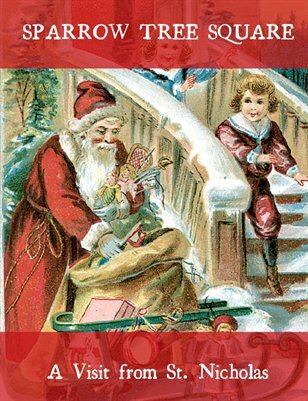 A special note: Sparrow Tree Square takes the philosophy of Francis P. Church’s “Is There a Santa Claus?” as its guide for this module.